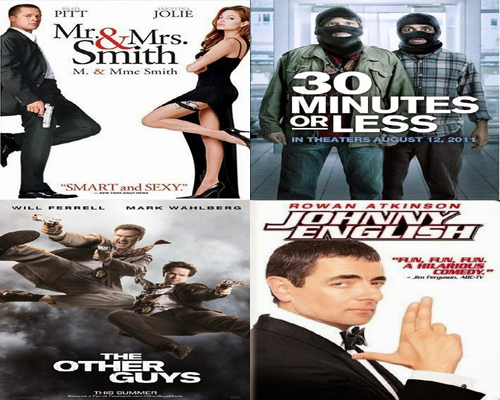 If you are looking for an alternative to the boring regular channels of TV and wish to enjoy some pure comedy movies in your DVD or Blu-ray, you need to check out my top 10 best comedy movies of all time. 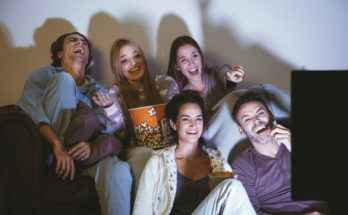 Comedy movies have always been appreciated for their light touch, humor, and hidden message they convey through satire to the masses of movie viewers. From mind-blank comedies, to meaningful funny movies, you can enjoy them anytime of the day to get a laugh. And laughter is the best medicine to forget all worries. This is often rated as the most hilarious and most mind-blank comedy movie of all time. This Jim Carrey flick enabled him to gain fame as the most comic hero of the century. Ace Ventura has some scenes where you find yourself falling down laughing at the idiotic activities of the protagonist. And this has also been considered Jim Carrey’s funniest movie ever. Another popular comedian, Ben Stiller, takes to his wits in this movie with Will Farrell. This is a great comedy to watch at home in your home theater with family and friends. You will laugh almost throughout the movie. The digital copy of the movie is available in Blu-ray format too. This is a dark comedy with some meaning in it. Though this won’t make you laugh like a mad man, this comedy is still considered a very good comedy movie thanks to some clever and funny scenes which make it one of my great comedy movies of all time. Me, Myself And Irene – This is another good comedy by comedy king, Jim Carrey. The character of Hank makes the movie worth watching. It is available in both DVD and Blu-ray formats. The split personality of Jim Carrey would make anyone laugh like a maniac. You will realize watching this movie why Seth Rogen is often called the best comic actor of recent years. He proves to be a really funny guy in this movie along with other funny guys like Red and Saul. International Man Of Mystery – While preparing the list of my best comedies of all time one won’t be able to exclude this adventurous and hilarious journey of Austin Powers himself. Adam Saddler is known for his comedies and if you want to see him doing his best comedy, get Happy Gilmore this weekend. This is the best work of the Monty Python team. You are going to love watching it with your family around. When Nature Calls – Like the previous Ace Ventura movie, this one manages to maintain humorous moments throughout. The final 30 minutes and the beginning of the movie actually bring this great comedy to my list of top 10 comedy movies.